Did Seo Hyun-jin Undergo Plastic Surgery? Let’s Compare Her Looks in Some Potential Before-and-After Photos! As an Actress and a Former Girl Group Member, Has Seo Hyun-jin Underwent Plastic Surgery? If you’re a total fan of Korean dramas, you must be very familiar with the Korean actress that we’re going to talk about. She is Seo Hyun-jin, the actress who has starred in a number of dramas and movies. Her latest project is a drama titled The Beauty Inside, a remake from a movie with the same title, along with actor Lee Min-ki. She was born in 1985 and made her debut in the entertainment industry as an idol, under the auspices of the agency SM Entertainment with M.I.L.K, back in 2001. However, later on, she gained popularity as an actress. Her girl group disbanded in 2003 and she, along with other members started their solo careers after that. Seeing her pretty face makes us wonder, has she done any plastic surgery or does her facial appearance is simply naturally beautiful? 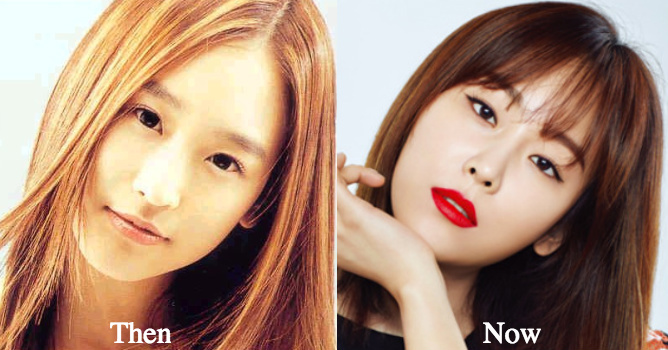 You must be curious about that, but don’t worry, we’ve gathered some information about Seo Hyun-jin’s plastic surgery rumor. Is it true or is that only a rumor? Just take a look below! Seo Hyun-jin was born in Seoul, February 27th, 1985. She made her debut by joining a girl group under SM Entertainment, named M.I.L.K. But before that, she was an ordinary high schooler from the Dobong district in Seoul. How did she look like when she was just a teen? Let’s take a look at the pictures of her school yearbook. Seo Hyun-jin looks so different with her glasses on. Her cheeks also seem a bit chubby before. But it could be because she was very young back then, and it’s a bit unfair to compare her with her current condition now. So shall we move to her next era, which is when she was with M.I.L.K? Seo Hyun-jin debuted with M.I.L.K in 2001, after she got scouted by SM Entertainment and became the main vocalist and also the maknae (Korean term for the youngest) of the group. She debuted with actress Park Hee-von, Kim Bo-mi, and Bae Yoo-mi. Seo Hyun-jin was only around 17 years old when she was in M.I.L.K. She looked very pure and innocent back then when she was with M.I.L.K, especially with her white backward cap. She still has the same smile, but her hair back then was black-straight and made her look very plain. With a white beret, she looked pretty elegant in her teenage days. But compared to what she looks like now, it’s a bit difficult to define whether it’s puberty or it’s because of a surgery. Do you think she has done plastic surgery? Or do you think she has always been this cute and pretty? Hmm.. let’s just take a look at another pic, shall we? When we compare the two photos above, it is pretty obvious that in the old photo of Seo Hyun-jin she looks a bit like f(X)’s Krystal, don’t you agree? But if we take a look closer, the apparent change in her eyes, between then and now, can be explained by the use of some makeup, like eyeliner or a double-eyelid trick. M.I.L.K disbanded in 2003 as one of the members, Bae Yoo-mi, left the group. Seo Hyun-jin, as well as the other members, started working on their solo careers after that. While still under the care of SM Entertainment agency, Seo Hyun-jin started acting and doing musical theatre. Several years after she left the group and changed her career to an actress, she became more mature and more beautiful. She often got to star in dramas where she would play the leading female character. But before she got this famous, she started from the beginning by only playing supporting roles in dramas. With a long black hair, she looked a bit like her old figure in the M.I.L.K era. In this photo, we can see that she doesn’t look that different from her past as a girl group member. It’s just her that has all grown up and became prettier. After some years, she changed her look by cutting bangs, making her hair shorter and changing the color to light brown. Just like what she looks like nowadays. The photo above was taken when she starred in the drama Let’s Eat 2, in 2015, with HIGHLIGHT’s Yoon Doo-joon. 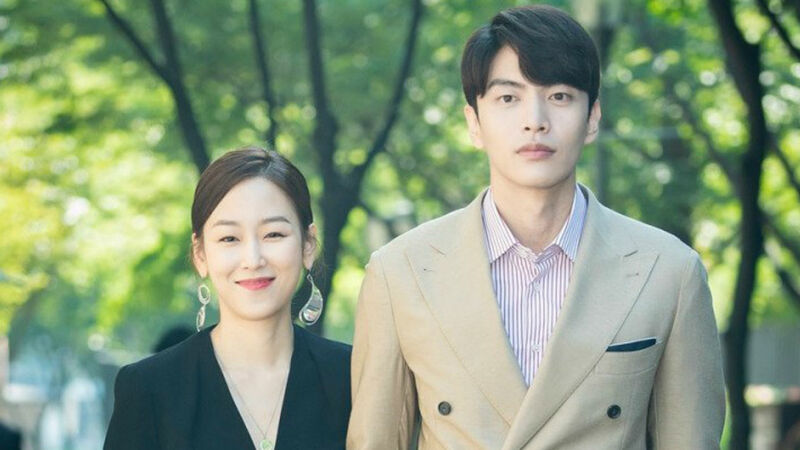 The picture above is of her and actor Lee Min-ki, in their most recent drama, The Beauty Inside. As she is smiling so brightly in this picture, it reminds us of her smile back when she was still with M.I.L.K. So, do you think that she has actually changed her facial features with plastic surgery, just like many other entertainers have done? Hmm… Even if it’s true, she was pretty back then and is still pretty right now. Indeed, the young and bright M.I.L.K’s Seo Hyun-jin didn’t change that much compared to this mature and beautiful actress Seo Hyun-jin. Let’s continue to support her and her projects in the future! Get Closer with Korean Actress Nam Sang-mi: Profile, Love Life, Family, etc.